Google’s Chromecast was a great hit, when it was launched. Which was a big success to the Google, with its surprise hit through a media adapter- Google Chromecast, now it is rumored that Microsoft is working hard with all its innovation in creating a competitive media adapter code named as “Miracast”. Miracast by Microsoft, appears to be compatible with windows PCs and working something similar for WindowsPhone. It is like Microsoft’s Miracast will be a big competitor for Google’s Chromecast. As per the document filed with the FCC (Federal Communication Commission) by Microsoft, it has been spotted for a “Miracast Dongle” media adapter. The filing document reveals that the device comes with a HDMI port, Wi-Fi and a USB connection for power supply. Miracast is a screen casting standard for connected devices over Wi-Fi Direct. Microsoft recently added Miracast support to WindowsPhone via the Lumia Cyan firmware for WindowsPhone 8.1. However, Miracast doesn’t be a competitor for Chromecast, due to there functionality difference. Chromecast plays the streaming data from the cloud. while Miracast just mirrors the display. The big advantage of mirroring a display on your TV is that you don’t have to wait for developers to add Miracast support to their apps. The new dongle would take advantage of Windows Phone 8.1′s Miracast-based “Project My Screen” feature to broadcast your screen to a TV. This could be used for putting anything from videos and games to presentations and photos on your living room’s big screen. With Microsoft expected to launch a couple of Lumia mobile devices like Lumia 830, (which has leaked recently. Click here to see leaked images of upcoming Lumia Mobile devices) in upcoming IFA press event in Berlin on September 4th, we will not be surprised if Miracast also get officially unveiled at the same event. Also, we expect that device will support Windows PCs as well. Microsoft is also planning to dispatch a Windows 8.1 PC for $199 to contend with the Chromebook. As per reports the laptop will be made by HP and will be known as the HP Stream 14. It will have a 14 inch show with 1366 x 768 pixels determination. It will be accessible in 32 GB and 64 GB variations and will weigh only 1.75 kgs. The company is still in its restructuring phase and it will be interesting to see if those massive job cuts would get Microsoft back to tech glory. Also the evolved interconnected ecosystems offered by Chrome and Android on Google’s side and OSX and iOS provided by Apple stand as a formidable opponent in the path of Microsoft. Miracast shows promise but nothing can be said until we lay our hands on the device. 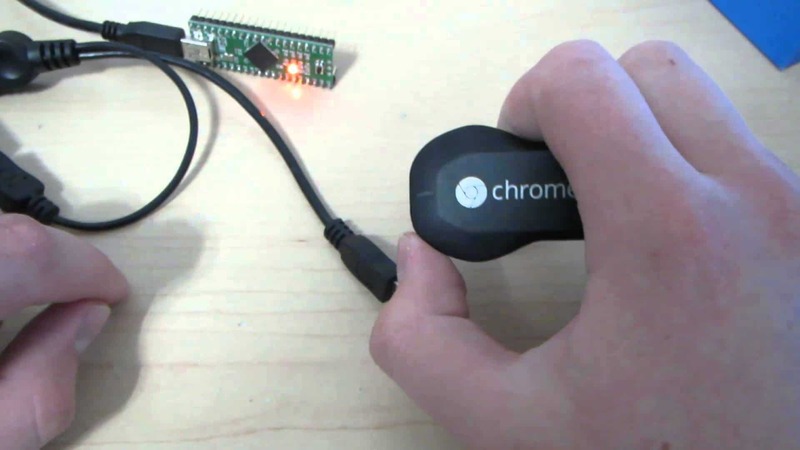 Google Chromecast can be used with more user friendly experience by the ability of rooting it, which is possible now. Follow the Rooting process of Google’s Chrome cast. Please share your views and comment the same.